Black Leather & Grey Felt Inner. Minimum Quantity: 25. The chances of seeing and using the promotional stuff on the office desks are more than any other place. These products are incessantly seen and used resulting in value added recognition of your brand. We use our enriched experience in the field of promotional products advertising to assist our clients using the right kind of promotional products suited for their target audience. The series of desk's Knickknacks and utility items includes 'utility box executive desk tidy organizers' in Black color, large and small Aquariums, counter mats, card holders, paper weights, frames, lamps and many more. Imagine the number of people visiting an office or reception area of the office building. 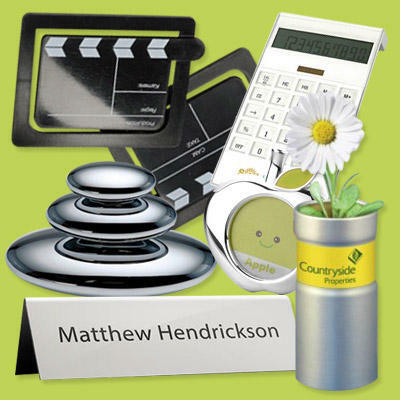 The interactivity rate for the office desks products will surely help your marketing to prosper.